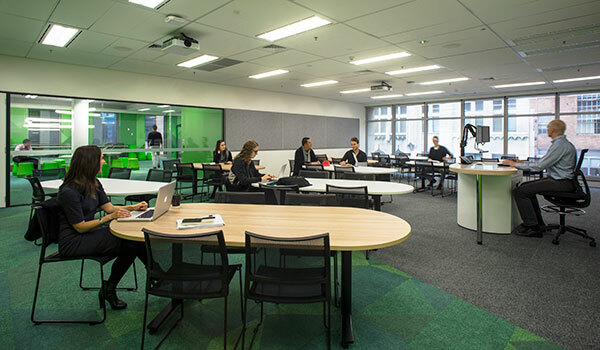 The MBA Sydney is reputable and distinguished, with the Business School holding Association to Advance Collegiate Schools of Business (AACSB) accreditation, which is earned by fewer than 5% of the world’s business programs reflecting our commitment to high quality teaching. The University of Newcastle Sydney Campus is located in a brand new, purpose-built premises on Elizabeth Street. This easily accessible, central location in the heart of the Sydney CBD provides world-class facilities and services that support innovation in learning and a next generation experience for our students and staff. We provide flexible study options to suit your lifestyle. With our multiple-mode programs, you are free to blend online and face-to-face learning environments according to your needs and your timeframe. When you study a Master of Business Administration (MBA) in Sydney, you will gain valuable skills across the fundamental values of contemporary business practices. In addition to exploring the core aspects of business, such as leadership, management, corporate governance, and innovation, this degree will allow you to specialise your skills and knowledge through a selection of key study areas. These specialisations will allow you to gain highly desired skills in areas including marketing, applied finance, international business, human resource management and entrepreneurship. Alternatively you can select from a diverse range of over 70 elective courses, allowing you the flexibility to create your own specialisation and customise your education experience to perfectly suit your needs. Diverse courses covering subjects such as business analysis, conflict resolution, investment analysis, risk management, big data, and brand development will lead you in attaining an expert understanding of modern business, along with developing your abilities in the practical application of real-world skills within a professional environment. The MBA Sydney program recognises students that have relevant professional experience. You could reduce your study time by up to a third by applying for professional credit. Learn more about the MBA Sydney program offered by UON. Apply now to enrol in courses for trimester one 2019. Take a virtual tour through our premises, which are brimming with spaces that encourage connectivity, collaboration and innovation.